It seems that in the last years company culture is the talk of the hour amongst employers around the world. Everyone knows it is critically important as its impact is far reaching, influencing management, process, products, employee attraction, productivity and reputation. 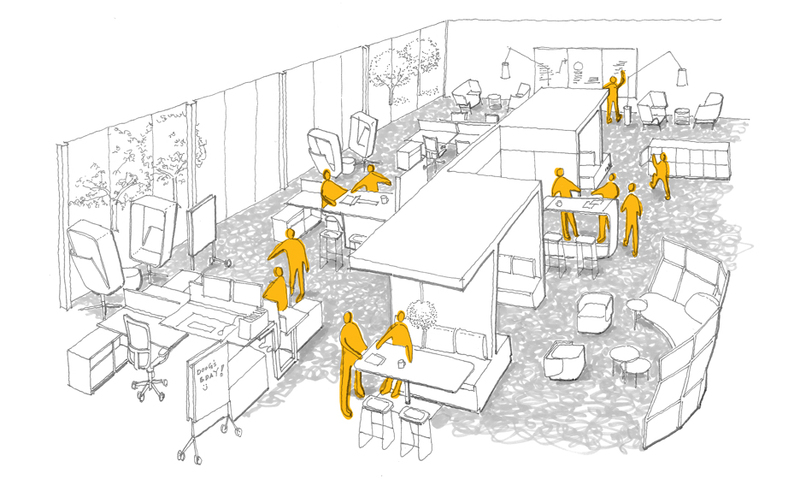 And one of the most important tools to reinforce a healthy company culture is office design. The reality is that an office is usually viewed as a cost rather than a driver of performance, with companies often choosing to increase worker density and build homogenous workstations. But employers do not consider that office design can help them build their culture. Most companies have a dominant culture that belongs to one of the four categories of company culture. 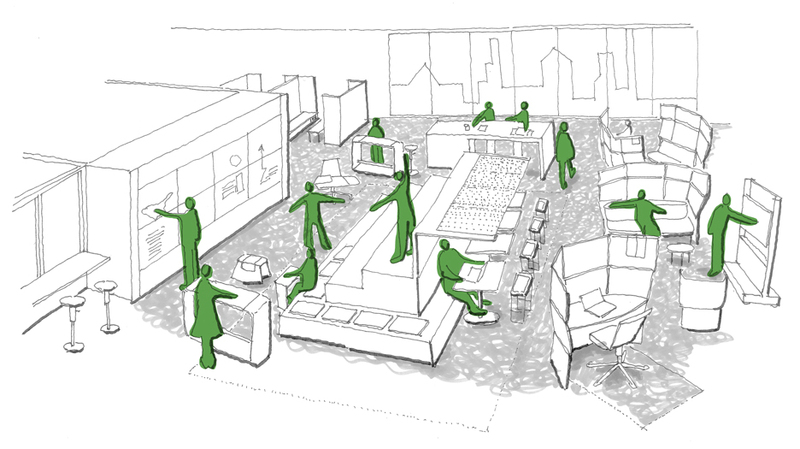 Understanding the culture of the company and at the same time recognizing the so-called subcultures that can develop in different team units within the company can help the designers offer the right mix of individual, meeting and social spaces and even the atmosphere of those spaces. Even though the right office design can encourage the desired behaviour, if it doesn’t align with the company’s culture, such design can backfire. Designers often hear from their clients “We want to be like Google”, by which they mean playful furniture, game rooms or ping pong tables. 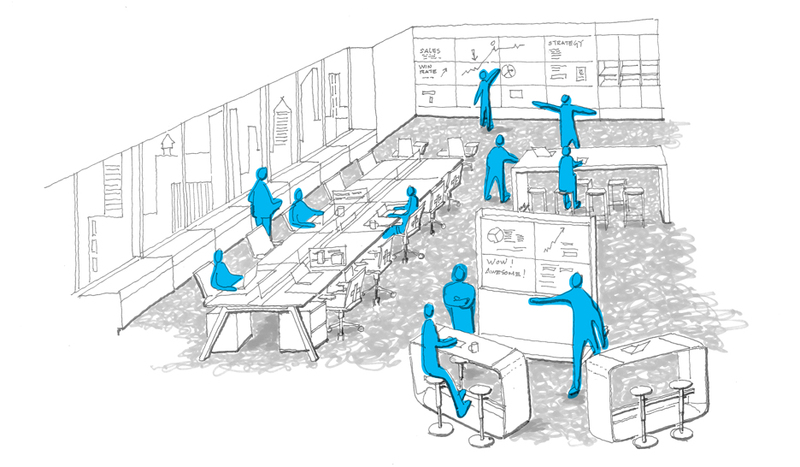 By introducing such a design for, let’s say, an insurance company, the game room would not be seen as a creative innovator, but rather as a distraction disturbing their daily work. Consequently, these spaces would likely not be used at all. Which four categories of company culture exist? Companies with collaborate culture focus on team building, concern for people and sensitivity for customers, while demonstrating flexibility. Companies with create culture focuses on doing things first, valuing experimentation and individuality. Companies with control culture strive to do things right through internal procedure. They want and need stability and control. Companies with compete culture strive to do things fast through external competition. They focus on results. The most important thing of workspace design is to integrate the company’s dominant culture with possible (and sometimes even contradicting) subcultures to meet company goals and help its effectiveness. 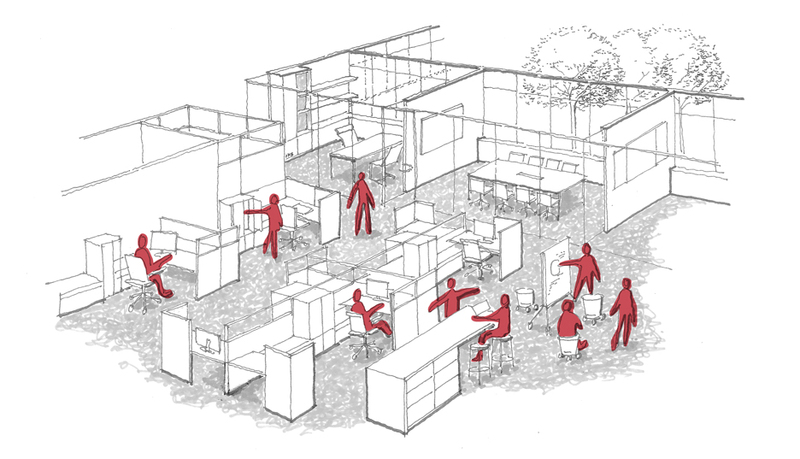 These four categories can help designers as a foundation for creating appropriate workspaces.